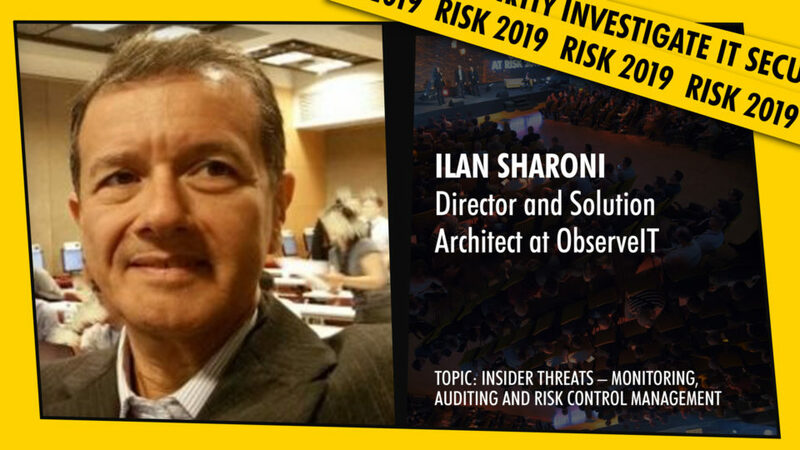 At RISK 2019, ObserveIT’s Ilan Sharoni, Director and Solution Architect, will present on the main stage on the topic of “Insider Threats – Monitoring, Auditing and Risk Control Management” on the 2nd day of the event at 12:30 CET. The greatest cyber security threat an organization faces is no longer the malicious hacker coming from beyond network firewalls. It is the insiders – the contractors, vendors, privileged users and business users – who already have full access to your organisation’s systems and sensitive data. According to the Ponemon Institute Global Report on the cost of Insider Threats, the average cost of an insider-related incident over a 12 month period is $8.76 million, and it takes more than two months, on average, to contain and insider incident. Security teams have to remain vigilant and empower themselves to quickly detect and respond to insider threats. In this session you will learn how to build and maintain an insider threat program, that enables you to monitor and audit your environment – and thereby protect your organisation from the risk of insider threats. Just another reason to attend RISK conference, the largest specialized IT security event in the Adriatic region, taking place on March 20th and 21st 2019 in Lasko, Slovenia. Over 600 specialists will attend 60 presentations, 30 workshops and 30 technical demonstrations on two floors – join them by registering at www.risk-conference.com.